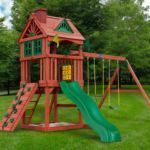 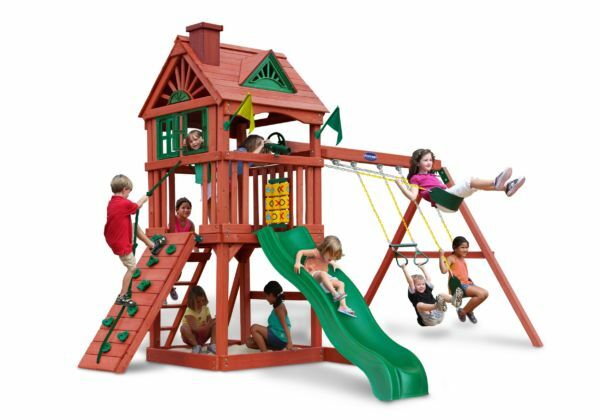 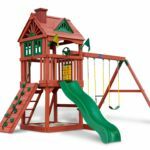 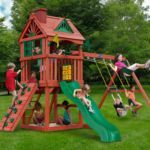 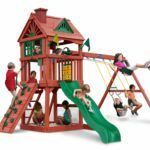 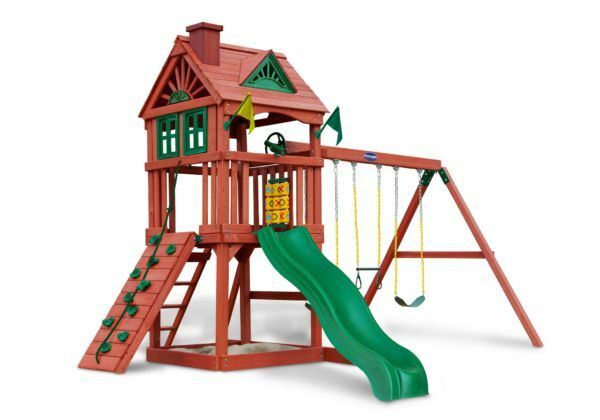 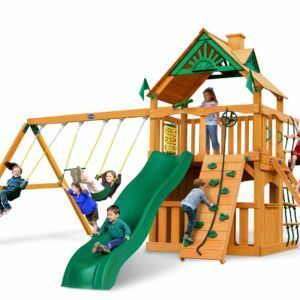 The Calypso is a perfect swing set, complete with delightful features that children love! 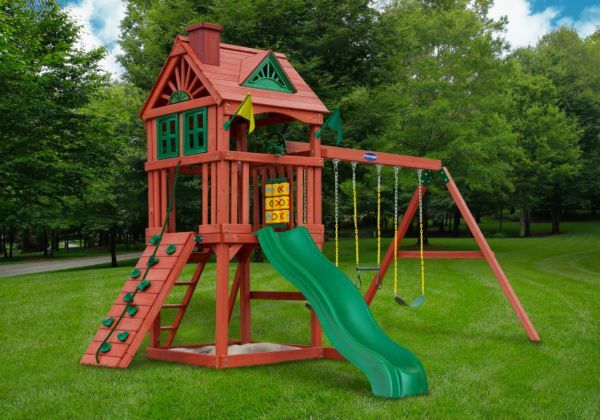 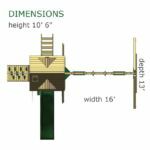 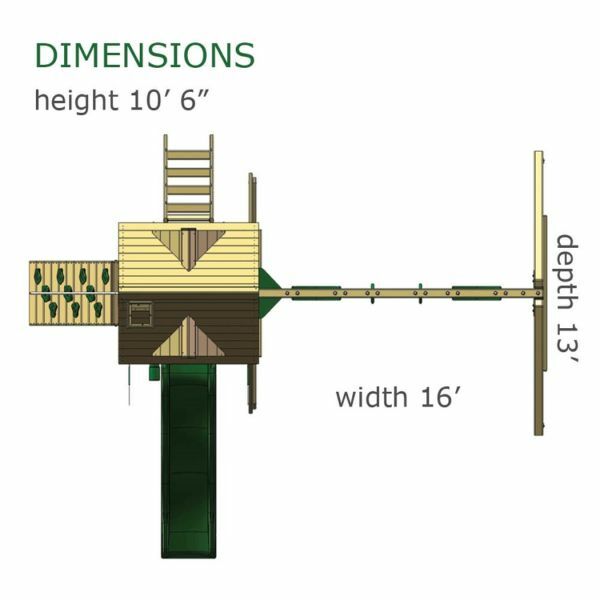 It has details like a real wood roof, a chimney and working shutters! 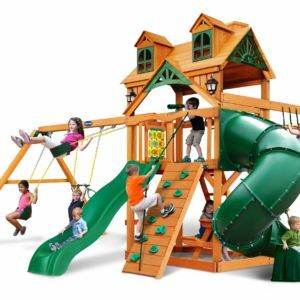 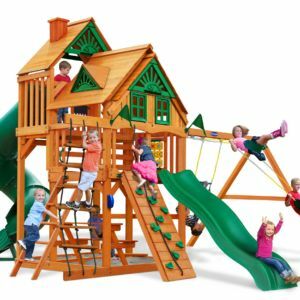 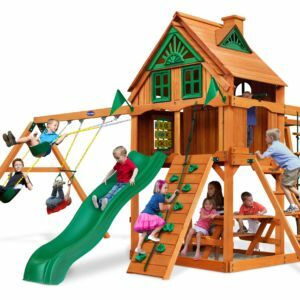 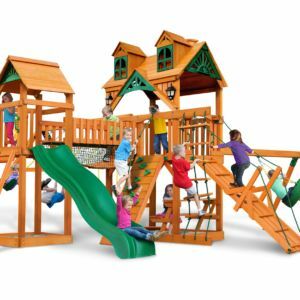 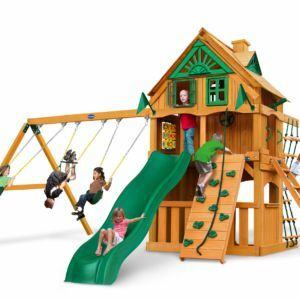 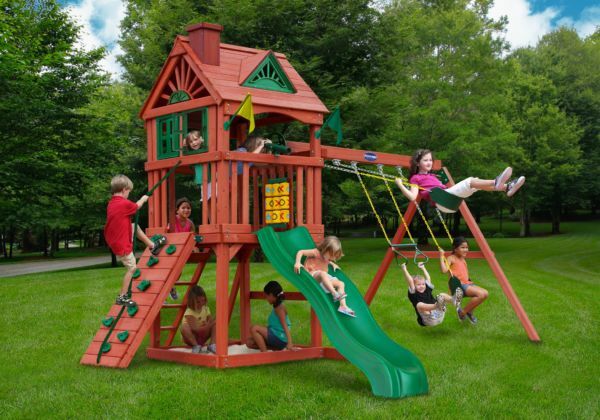 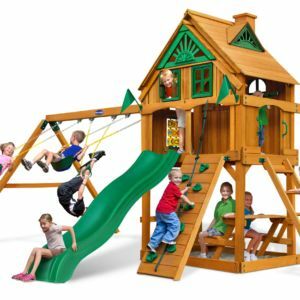 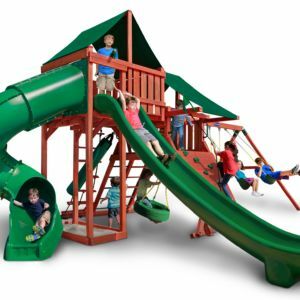 Fun activities like a Wave Slide™ and a climbing wall create the setting for a perfect day of play!